CI cardinal lightweight onesie. 100% cotton. 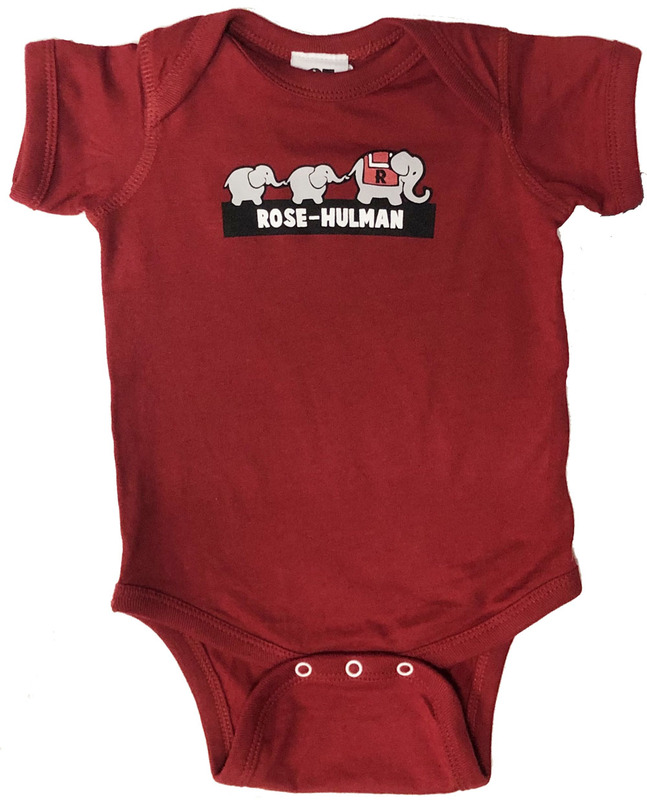 Imprinted Rosie the Elephant over "Rose-Hulman"
Please select option for CI Infant Onesie. CI gray lightweight hooded sweatshirt. 60% cotton 40% polyester. 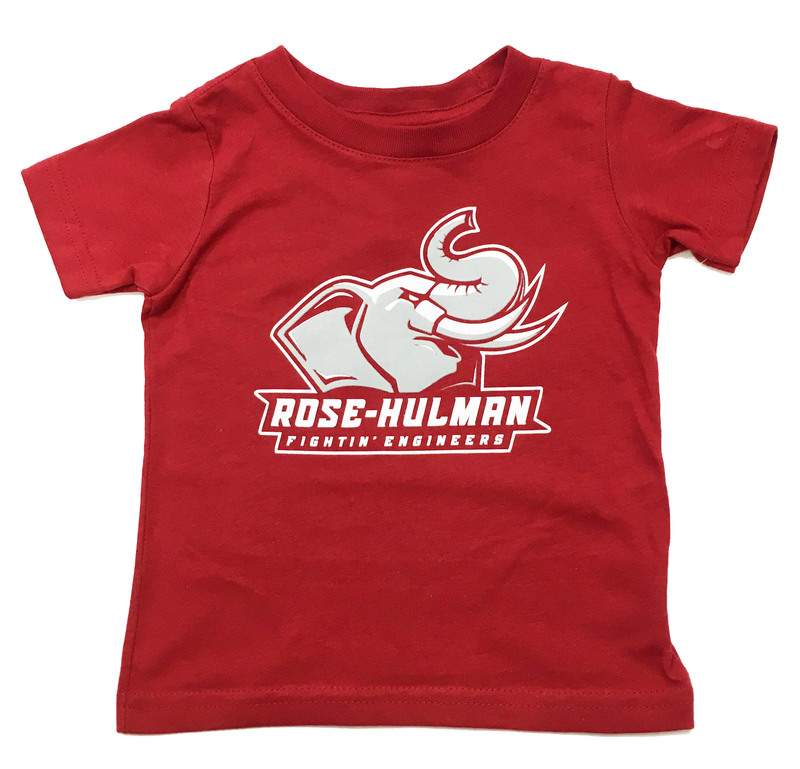 Rosie the Elephant over "Rose-Hulman"
Please select option for CI Infant Hooded Sweatshirt. Please select option for Kid N' Me Pink Dress. 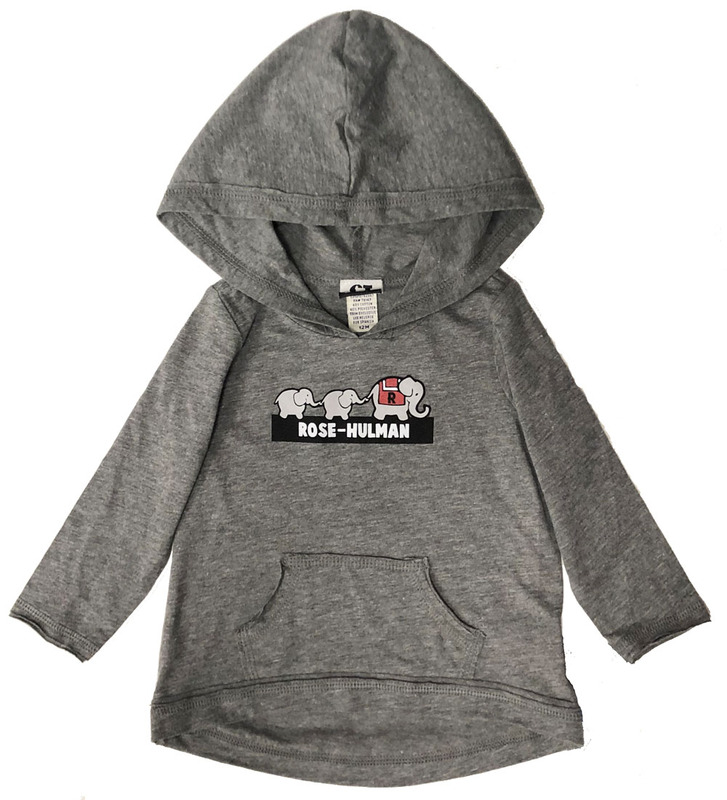 Please select option for Little King Infant Full Zip Sweatshirt. 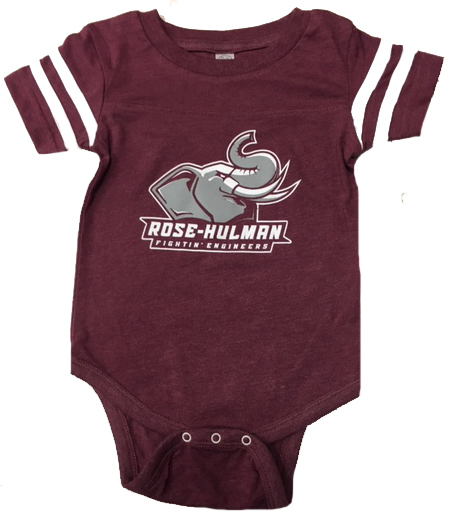 Please select option for Little King Infant Romper. Please select option for Little King Infant T-Shirt. 100% cotton jersey. Double needle button hem and shoulder to shoulder tape. 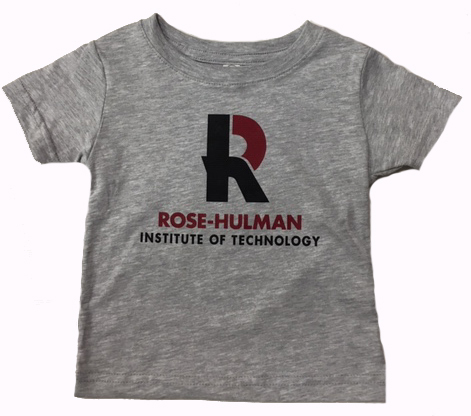 Imprinted Rosie logo over "Rose-Hulman" over "Fightin' Engineers". 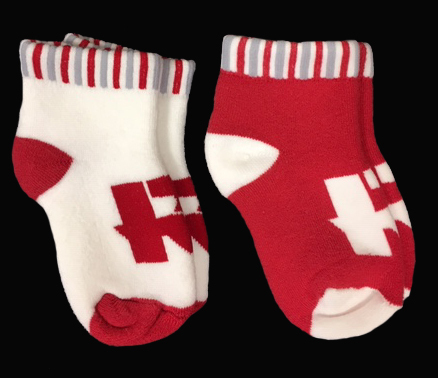 Mini Nike football with Nike swoosh imprinted on one side and Rosie over Rose-Hulman printed on the other. Diameter 9" Circumference 16"